If your budget is tighter than a high E string, there are some fantastic cheap electric guitars you should know about before you go ahead and make that purchase. Each electric guitar listed in this section has been selected because of consistently good reviews, materials and components you would expect to see on higher end guitars, and of course the modest price tag itself. Every guitar is different, so take your time! Browse by style, make or see how the cheapies weigh up against the big boys. 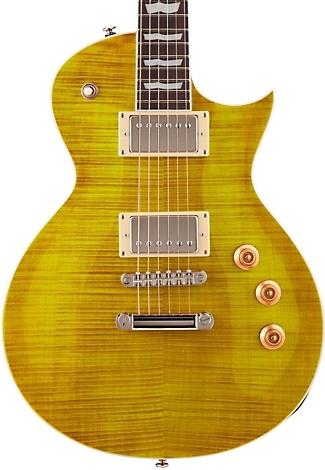 The best value Les Paul style guitars in all their rich, mahogany bodied, humbucking glory. There really is no need to shell out over a grand to get the "real deal" these days, unless of course you're treating it as a collector's investment. You don't even need $400 for a reliable, gig worthy LP. Originally an innovation of Fender, now instantly recognisable and widely produced by a number of brands for a lot cheaper. If you're after that unmistakable Strat sound, and the classic cut that goes with it, check out these Squiers and Strat copies. You won't miss the Fender badge (and price tag), we promise. 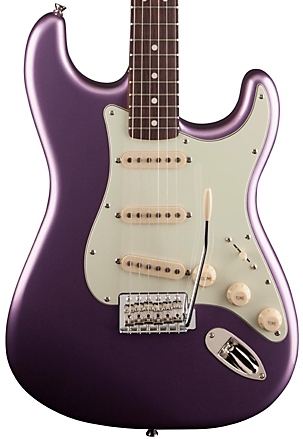 Another Fender classic gone mass-market. 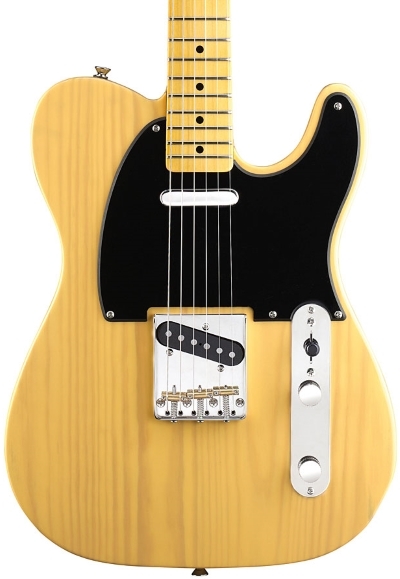 Fortunately, there are some exceptionally good copies, especially in the Squier range, that stay true to the quality and sound of the original Fender Standards. If you love that Tele twang, find out which models experienced guitarists are raving about, even more so than the Fender MIM models! 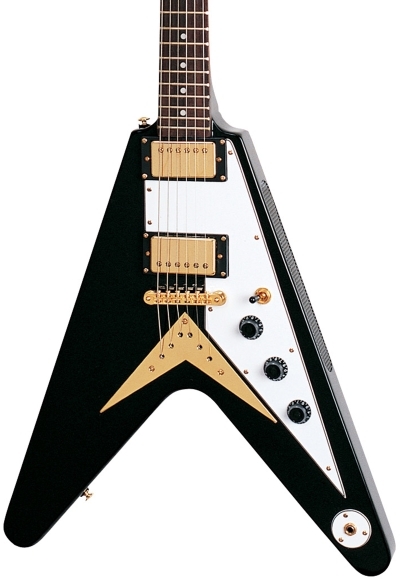 The Flying V is an electric guitar first produced by Gibson. 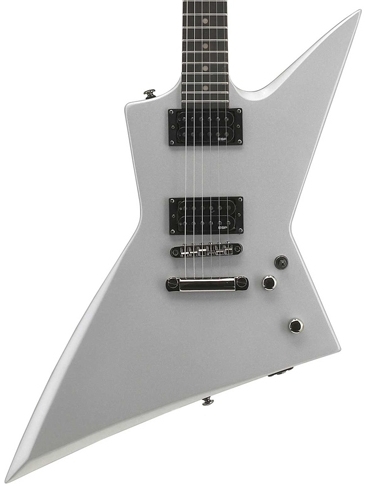 Guess what - it's shaped like a V.
Strictly speaking, only Gibson and Epiphone guitars can use the Flying V name, but this section includes other V shaped guitars for those after cheaper or modified alternatives e.g. more suited for metal playing. 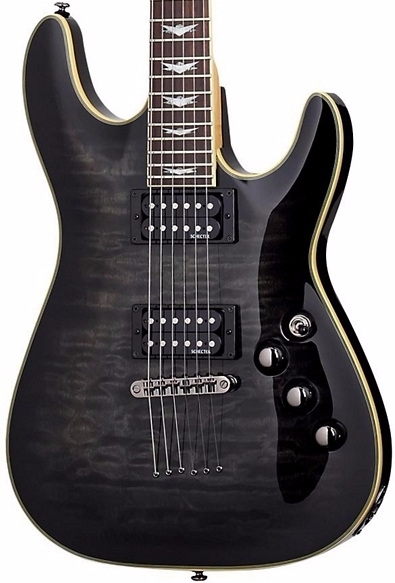 Another replicated Gibson classic, spawning various incarnations by makes such as ESP, Jackson and Dean that became popular among metal players during the 80s and 90s. Whether you want to stay true to the '58 original or want a more radical, modernised version, take a look at this top 3. Also known as semi-acoustic guitars, hollow bodies use a sound box to help enrich the tone through the pickups. They tend to be favoured by jazz and blues players. There are some wonderful models below the $500 mark you should know about before you part with your hard-earned. A section devoted to the thrashers and shredders among us who need a more metal ready setup. These beautiful beasts deliver high output, great sustain and look the part to boot, whether you need a well rounded heavy metal workhorse or a lightning fast shredding axe. We're working on this section so your patience is appreciated! Eventually, we'll have all the major (and less known) brands listed here so you can find the best budget electric guitars made by a particular manufacturer. Looking for a cheap, American made Gibson axe? Does such a thing exist? Yes, take a look. There is a difference, but $2000 worth of difference? Find out what makes the USA Gibson a superior instrument and whether it's really worth selling a kidney to buy one. What makes the Squier Strat nearly a grand less than its more prestigious daddy? Plus, are the cheaper Mexican Fenders worth the extra money if you can't afford a MIA?